"I work at a company where 92% of my co-workers are black women"
YOU'RE READING "I work at a company where 92% of my co-workers are black women"
"I was watching women build themselves up, respect one another and contribute to the growth of a community of young people." The longest held and most outdated stereotypes of women working in the corporate environment is that they often only fill secretarial positions. In terms of their behaviour, they are believed to be super hormonal, illogical and too emotional to make serious decisions in the workplace. Worst of all, is the myth that women that work together women bicker, bring each down and create an environment full of jealousy and drama. According to Stats SA in an article published in Mail and Guardian, black women experience the highest unemployment in the country at 34%. However, black women in the corporate world still exist, even if they are in the minority. 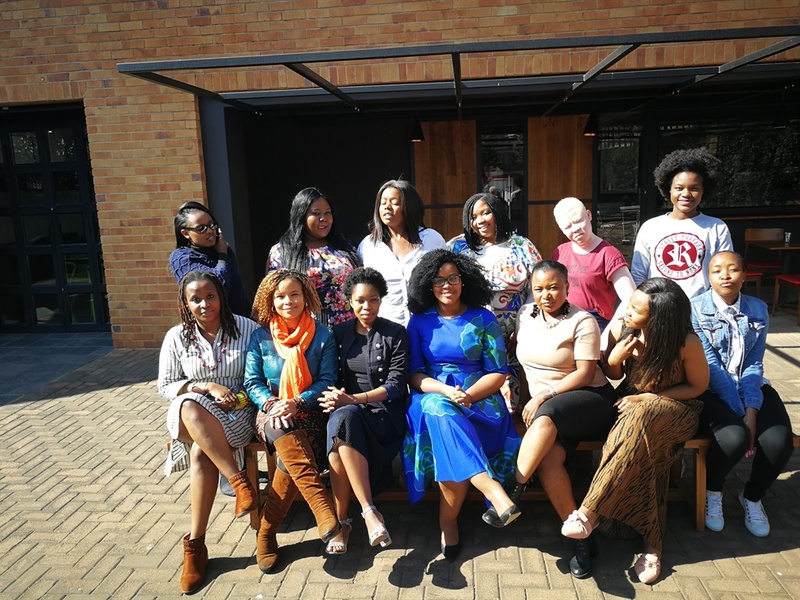 I discovered such women when I began working at a company made up of 92% black women who are helping young, black and disadvantaged people upskill their careers through social media and digital training. I had done my research on Digify Africa before working there as a junior digital content producer and writer for Live Mag, one of the platforms they use to stay in touch with their young audience. I looked online, read up on all the work that they were doing in digital and tech and even though I saw the pictures of the mostly female staff on the website, I had been socialised to envisage that it would mostly be men who worked in an environment where it was all things tech, science or digital. What I discovered was quite different. When I arrived at their old offices in Braamfontein, I didn’t think that I’d find that all the women who were responsible for the majority of this work would largely be black women. The women in this company were preparing young people for an economy that’s quickly becoming dominated by tech. In a country where there are more women than men, but only 44% of those women fill skilled positions in the workplace, this was groundbreaking to me. I was watching women build themselves up, respect one another and contribute to the growth of a community of young people. Unlike many of the women here at the office, this is my first job since leaving varsity and I don’t have anything else to compare it to. I knew I was lucky when I walked into the office every day and I didn’t have to feel like the token black person or woman who’s there to tick the BEE demographic box. I feel like I’m part of a company where the black women seem indispensable to me. They all play a huge role when it comes to contributing to the company’s successes and victories and to have people like this to look up to has been a great help for my own self-esteem and confidence. It’s like how people feel about the Black Panther film, except it’s not in the dream land of Wakanda, but rather, right here in Joburg. I remember when a number of us were sitting in on our weekly boardroom meetings. Luleka, one of our project managers captured this really cool moment on her phone. We were doing nothing out of the ordinary, but she whipped out her phone for an Instagram post because it became apparent to all of us that that very image of us in the boardroom was a subversion of the historical image of what a typical corporate (and digital) company looks like. An entire room full of women were talking about what they had been doing throughout the past week, and the kinds of challenges they were experiencing in aiming to bridge the digital divide that excludes young disadvantaged kids from various opportunities. The moment sent chills down my spine. 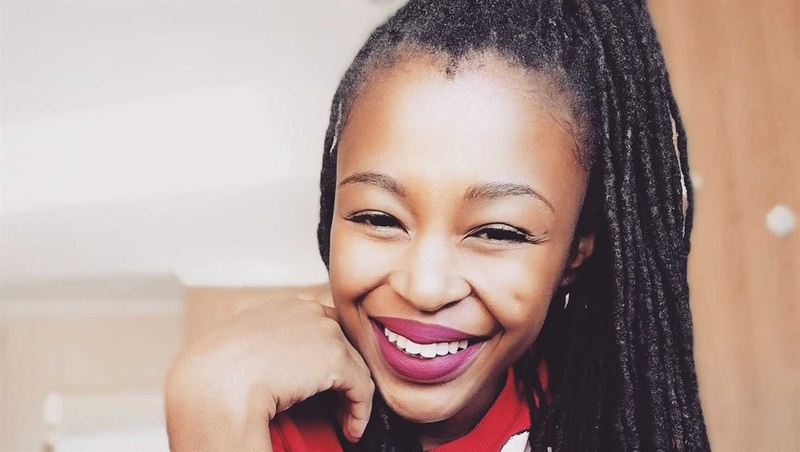 I had spent much of my time in varsity worried about being a creative writer in a potentially unwelcoming environment, but I had found myself in a place that stood against much of what I feared about the working world. I was watching women build themselves up, respect one another and contribute to the growth of a community of young people. I get to see my colleagues being vulnerable in expressing their challenges, watch how other fellow co-workers help their colleagues without trying to dominate or bring down them down. I get to see this kind of support on a weekly basis, so when I hear stuff about women being difficult to work with and women being always being jealous and catty, I can tell people first hand that it’s completely untrue. It doesn't mean that the team doesn't experience drama, enough to distribute around the Melville area we now work in. But you’ll always have at least one person you can talk to and sometimes you even get encouraged to let off some steam and talk about whatever you’re going through in boardroom meetings. It’s not everyday that you find yourself in a space where the majority of the people that are in power are black women. 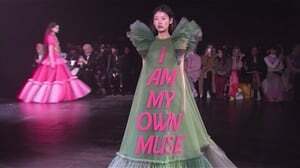 My co-worker Terry, once mentioned how there’s never any pressure to prove yourself, suppress your emotions or to do things like “dress appropriately”. This is important for me especially because I’m often uncomfortable and awkward around men. I don’t have to concern myself with whether or not someone is looking at my bum as I walk away, I don’t have to worry about how to handle a guy hitting on me while I'm trying to be productive and I don’t have to witness the sexist behaviour and the chats that some of my co-workers have been privy to in their past jobs. I often feel like it’s a safe space to be in. Unfortunately, people of colour and women have largely been made invisible in the economic sphere. While the increasing pace of urbanisation in the early 20th century brought many black women from the rural areas into the city, their gender and their race limited their position in the mainstream economy of the country throughout the century. Black women were mostly left to take on more subservient roles, where they worked as domestic servants or caretakers in the suburbs and the cities. As a junior employee who’s only just starting out at this whole adulting life where I have to learn to wake up earlier than usual and pay for stuff, I certainly feel very fortunate that I get to be in this kind of space. There’s a sense of freedom and feeling of acceptance that I get here that I sometimes take for granted. When you’re surrounded by women who are just like you and who are doing great things for themselves and their communities, you’re inspired to do more. I don’t think I could get that in other working environments. I’m a witness to Kofi Annan's quote about how “the empowerment of women is the most effective tool for development” and I couldn’t be more grateful. In the past seven years, the company has trained over 85 000 young people and managed to kickstart digital marketing careers for over 200 people. I'm totally aware of the reality that I if ever leave, I might have to prepare myself for a workplace that's totally different from what I've been exposed to here. For now though, I'm taking in and enjoying my experience here. It’s not every day that you find yourself in a space where the majority of the people who are in power are black women. And because I now know the kind of power that the women in this office command, if I ever leave, I know what kind of power I can command too if I want to and no one can tell me or show me otherwise.